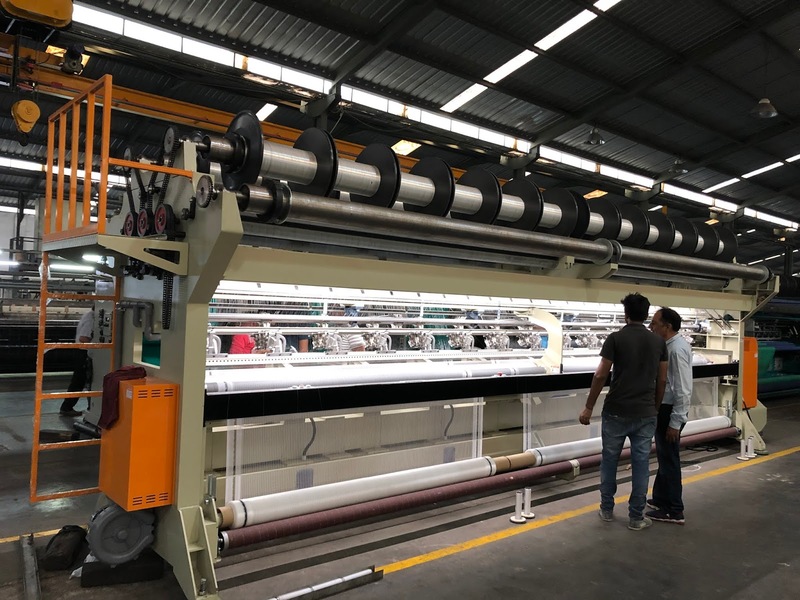 With effort and Fung Chang’s dedication to accomplishing the customer’s need, the shipment of Raschel knitting machine had been dispatched to India successfully in January, 2019. 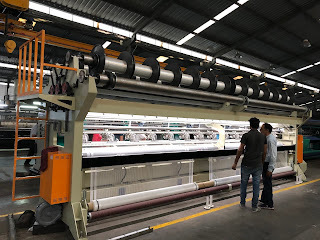 The business trip to India this time is mainly for installation and training service. After the whole line machinery arrived, Fung Chang sent well-experienced technicians to customer’s factory, training the staff at their place and assisting customers in supervising the machine professionally. Though customer already bought equipment from other suppliers, they are considering Fung Chang as a future cooperative partnerships while in the process of expanding the production line. 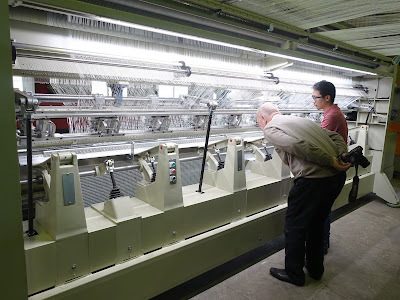 Based on Fung Chang five decades’ experience of manufacturing Raschel knitting machine, we will provide stable quality, solid technical skills, and complete after-sales service. If there is any need of our product, please do not hesitate to contact us, we assure every customer of the reliability machine! 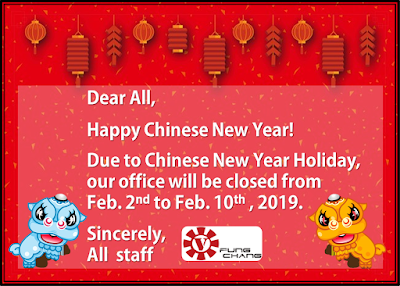 Fung Chang E-news – Welcome your visit to Fung Chang! 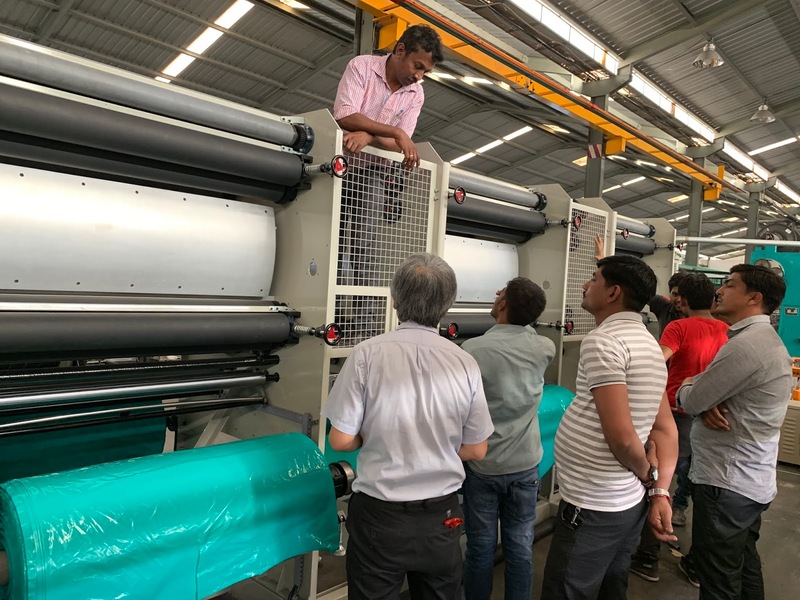 During the past few weeks, visitors from Slovakia, India, Ecuador and South Africa came to Fung Chang for seeing machine test-run. And we currently have one set of demo machine which is upgraded to servo motor and EL system in the factory. With EL system, customers are capable of changing the net fabric by touching screen on control panel since the pattern data is available to be saved on system. Also, driving the guide bar and changing the pattern become much easier by using servo motor. To increase the production efficiency, the smart management system box plays a vital role in managing all the data that manufacturers need. 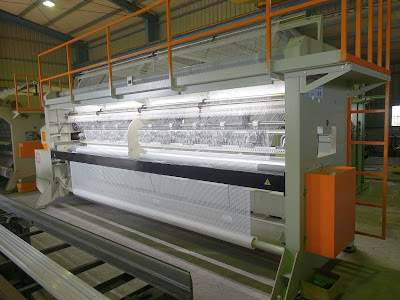 The system logs which show the events happened during the machine running helps customers control the production situation. Fung Chang is located in Taoyuan City, Taiwan, which is close to Taoyuan International airport, and the transportation is convenient. 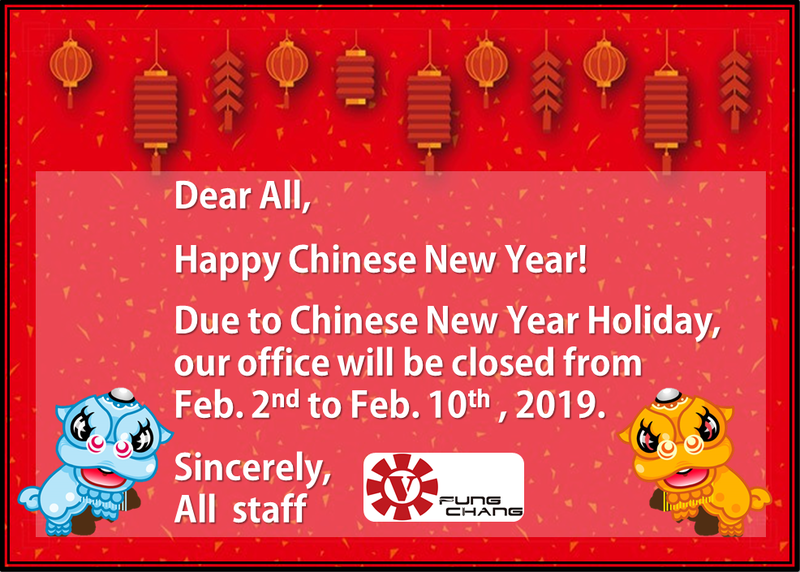 Please do not hesitate to contact us if there is any inquiry of our product or service, we are pleased to receive customers from all over the world! 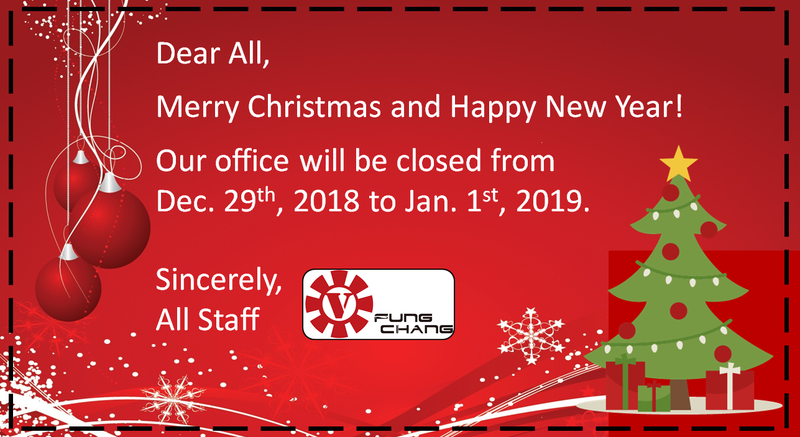 At the beginning of 2019, the team members of Fung Chang arrived in India, which is 4,323 kilometers away from Taiwan. The main purpose of this business trip is for an after sales service. India customer whom has established the relationship with Fung Chang for 7 years and proceeded to launch a new project at 2018. It is Fung Chang’s honor to have a chance to cooperate with our old friends once again. 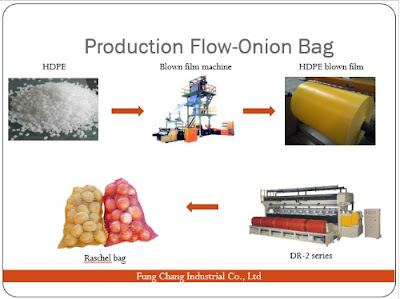 Fung Chang dedicates to offering efficient machine, reasonable price, considerate after-sales service, and stable quality. We are happy that customer repurchase machine from us for the expansion of net product. 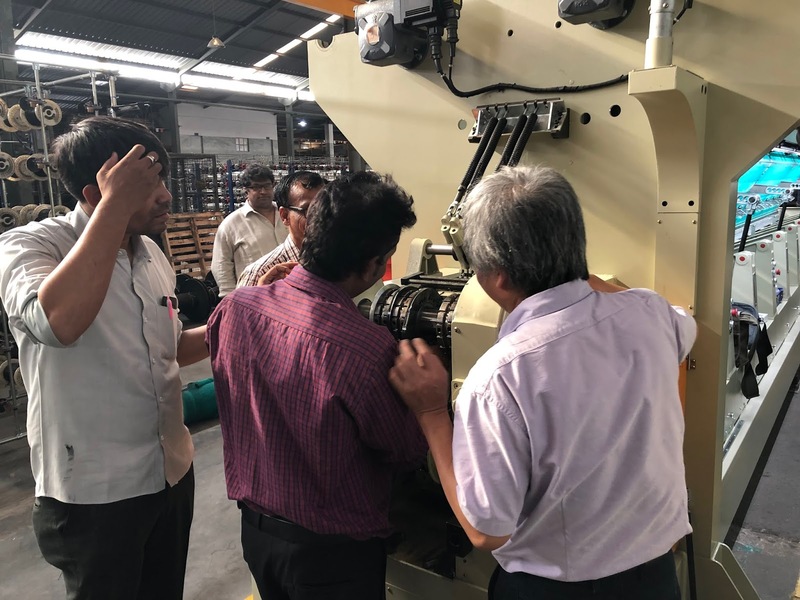 We provide reliable after sales service for every aspect of customers’ machine, since it is essential for a long term and fruitful relationship. We are thankful for every opportunity that customers give to us, and glad to offer assistance and technique support. If there is any need of our products or service, please feel free to contact us. Plast Eurasia 2018, which was held in Istanbul last week, has concluded successfully on December 8th. It is Fung Chang’s honor to attend such a great exhibition annually. We are extremely grateful to each and every customer who came to our booth. Fung Chang values every customer’s opinion, and makes an effort to fulfill all demands that customers have. 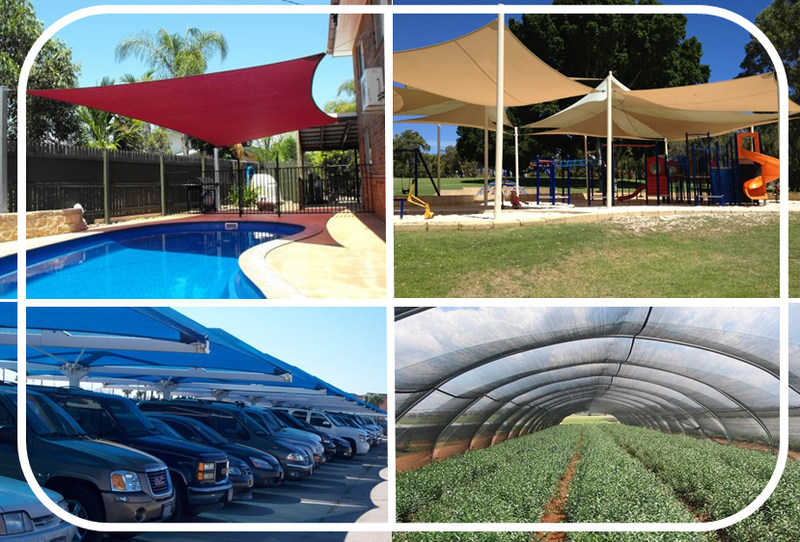 Since establishing close relationship with customers is the goal we are striving toward. 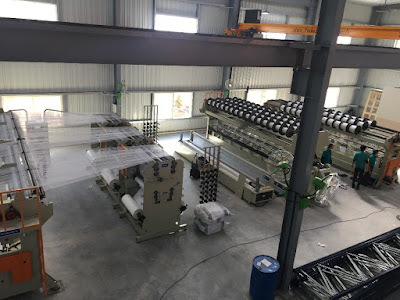 We provides Raschel knitting machines for making various net product, such as shade net, construction net, bale net, knotless fishing net, fruit bag, and so on. We expect to team up with any potential customers in the future and hope to see you next time! Your visit is a compliment to Fung Chang! 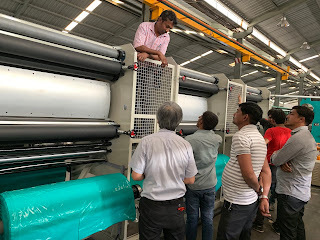 At the end of October, India customers who have cooperated with us for several years arrived in Taiwan, and visit to Fung Chang for seeing machine running visually. 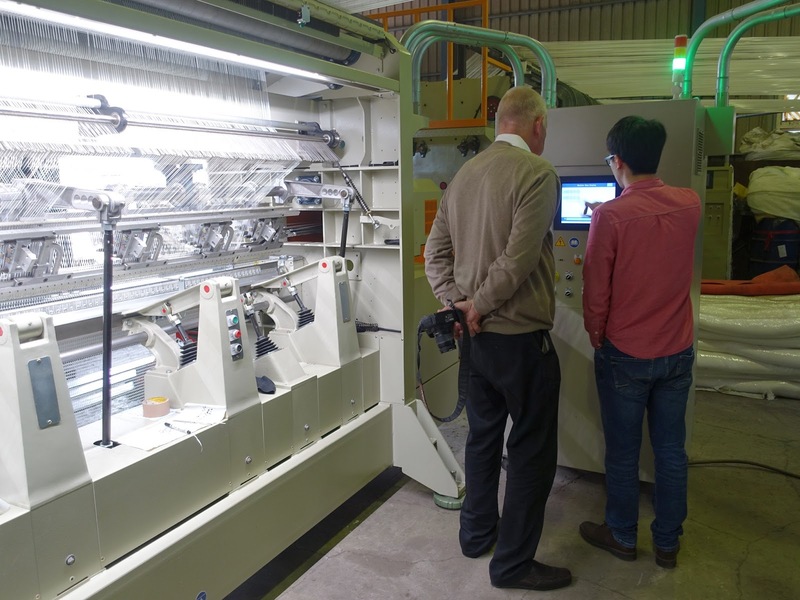 Even though the weather is chilly, our customers are still willing to attend our machine test-run process. We certainly appreciated the precious time they spent. Before shipping, the goods will be checked and tested carefully by Fung Chang. We have done our best pursuit of perfection on the machine for 55 years since we take our valuable customer seriously and are responsible for each and every product which made by us. Fung Chang is glad to have you visit us! 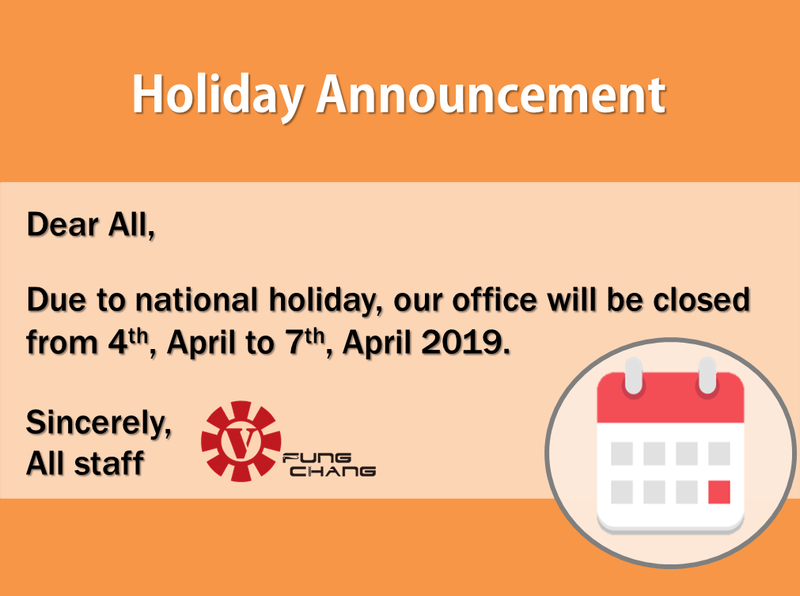 If you have further question, please do not hesitate to let us know. Thank you! 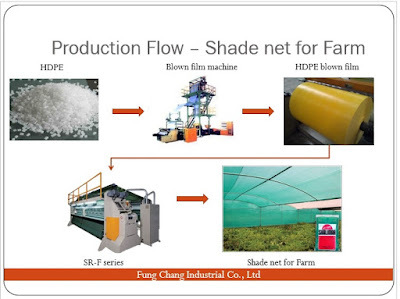 Shade net is manufactured and used worldwide in various applications. For agriculture purpose, the shade net installed over the top of building is able to protect the plants from sunscald. However, have you ever seen this type of shade net? 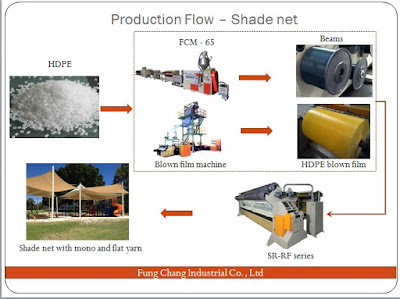 Recently, Fung Chang has received quantities of inquiries for aluminum shade net. This net is produced by special aluminum foil and designed especially as a roof for garden, balcony, and movable shade structure. With its brilliant appearance, aluminum’s fabric acts like a mirror reflecting sun rays helping cut down on the solar radiation and prevent the harmful heat. 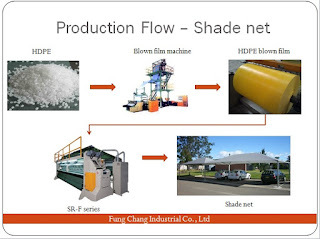 Furthermore, the cooling effect could take care of crops, vehicles, and buildings. 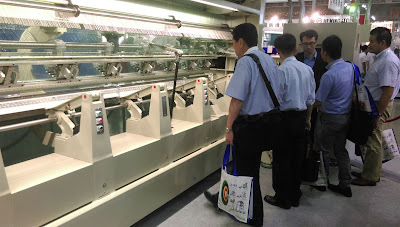 For more information of SR-RF series Raschel knitting machine, please do not hesitate to contact us! 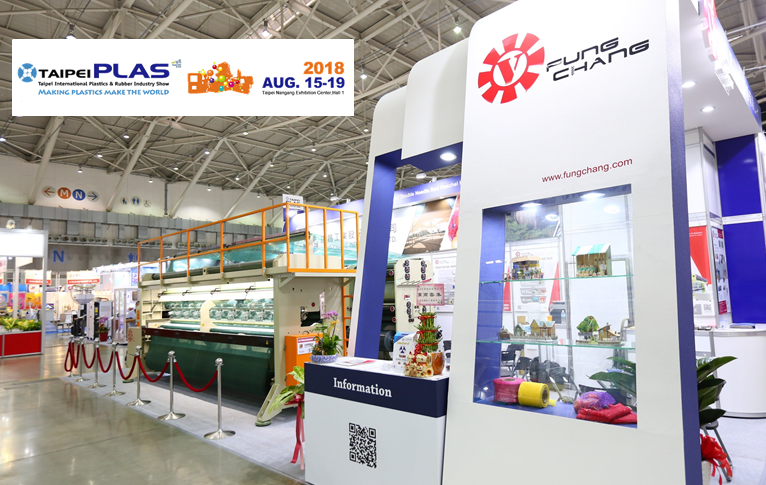 Fung Chang E - News - It’s Our Pleasure to Meet You at Taipeiplas 2018! Thank all the visitors for coming to our booth at Taipeiplas from August 15 ~ 19, 2018. Fung Chang was glad to attend this great exhibition. 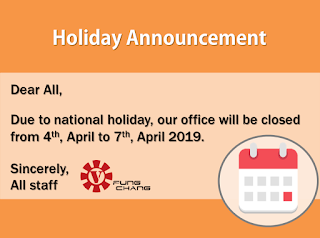 Also, it’s a good chance for us to serve all the clients. 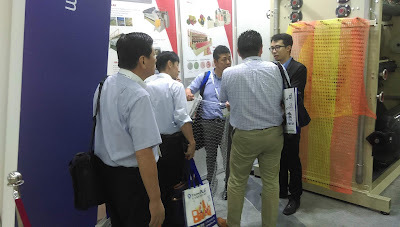 In addition to our regular customers, the visitors from all over the world came and visited our booth for new projects. They inquired about Raschel knitting machine for a variety of net products. To provide you with a suitable equipment, Fung Chang has different series of Raschel knitting machines for making products like shade net, construction net, bale net, knotless fishing net, onion bag, and so on.